The original Evil Dead took me deep into the woods again, back to the cottage tucked into a corner of nowhere. A place where the silence was both soothing and unnerving, where the rustling of the leave outside was both beautiful and ominous. The original kept me up at night as a kid. 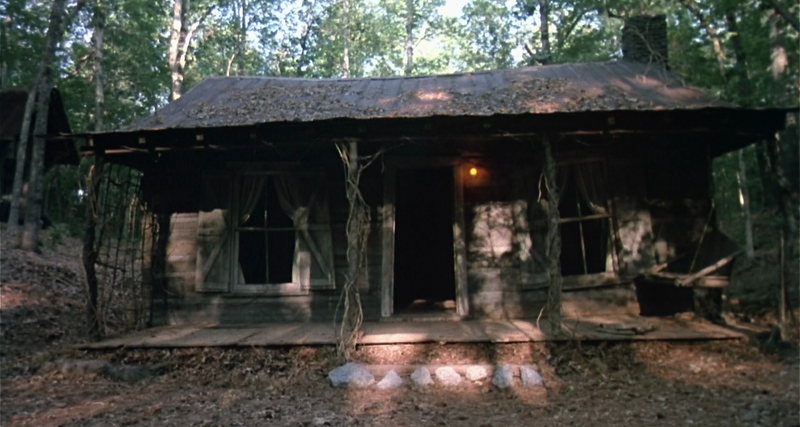 Evil Dead II lacks that feeling of dread, that nostalgia of the woods, the memory of silence, the sound of leaves. The sequel doesn't really take me anywhere. So a disappointing second installment, right? Wrong. Despite those missing components, Evil Dead II is actually the superior film. Filmed with a confident intensity and a wonderful sense of humor, Ash is back and Bruce Campbell is better in every possible way this time around, as he fully embraced the ridiculousness of it all which is why this film works so damn well. Sam Raimi took what was originally straight horror and elevates it by realizing the potential of the material as satire, and it really is a joy to watch, an entertaining blast of cinema from start to finish. 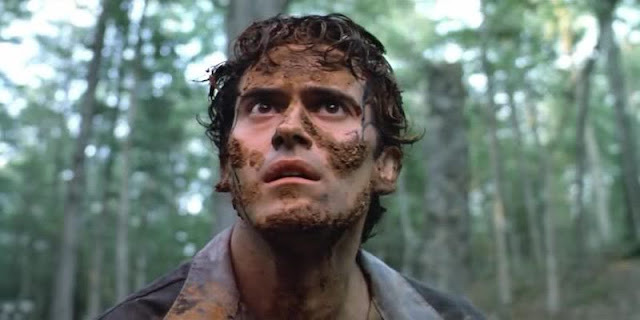 The film kicks off with a pulse of energy that was missing the first time around and it doesn't feel sustainable, yet somehow Evil Dead II gets better and more and more over-the-top as it goes along. Paced perfectly and with such a short running time of around 80 minutes, I would never dream of checking the clock during this film wondering when it will end. I am always left wanting more no matter how many times I see it. So cartoonishly gory, so hilariously evil, so much fun. Does Evil Dead II fill me with the dread of nostalgic trips to a small log cabin in the woods? No, it doesn't. I'm not laying awake at night fearing the sounds of silence after screening the sequel. Instead, I fall asleep with a smile on my face and visions of Ash dancing through my head. "I'll swallow your soul! I'll swallow your soul! I'll swallow your soul!" Sam Raimi and Bruce Campbell have never been better. A delicious devilish delight of a picture. I feel that every time a new installment of Evil Dead comes out, it gets better. 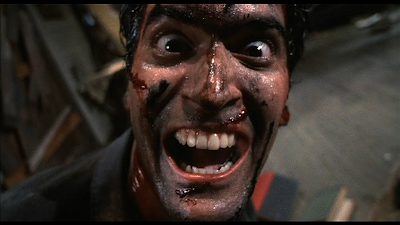 I thought Evil Dead II was a better Evil Dead I and Army of Darkness blew my mind at how hilarious it could be. I really can't wait for Ash vs Evil Dead show. I know Cody, that's actually why I am revisiting these films now. I wanted to be fresh going into Ash vs. Evil Dead, looking forward to it!